Ask most women and they will agree that the most important product in their make up kit is mascara. A quick sweep and we look and feel better – every time! 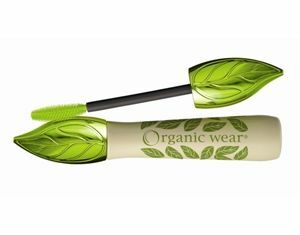 Now, those who love pampering their lashes as well as the earth can do so with confidence with Organic 100% Natural Origin formula. It contains the purest ingredients, is free of harsh chemicals and other nasty stuff and the Eco-Brush is 100% recyclable when the wand runs dray. Even better news? No clumping, smudging, flaking and fibers! It’s also hypoallergenic and safe for sensitive eyes and contact lens wearers. A make-up must have, in our opinion.